St Teresa of Calcultta Parish’s Music Ministry offers a comprehensive Children’s Music Program, gifted Chancel Choir, Schulmerich handbells, magnificent pipe organ, and a vibrant concert series held at the Church of the Immaculate Conception. Immaculate Conception’s glorious Roman architecture resembles that of the Basilica of St. Paul Outside the Wall in Rome. Our unique combination of music and architecture creates great Sacred music in a great Sacred space. 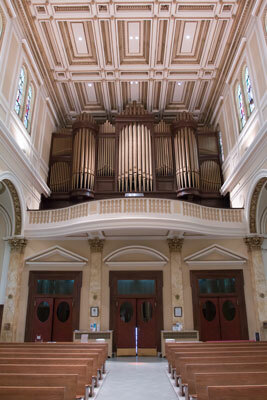 The organ of Immaculate Conception was built by the Austin Organ company in 1916. 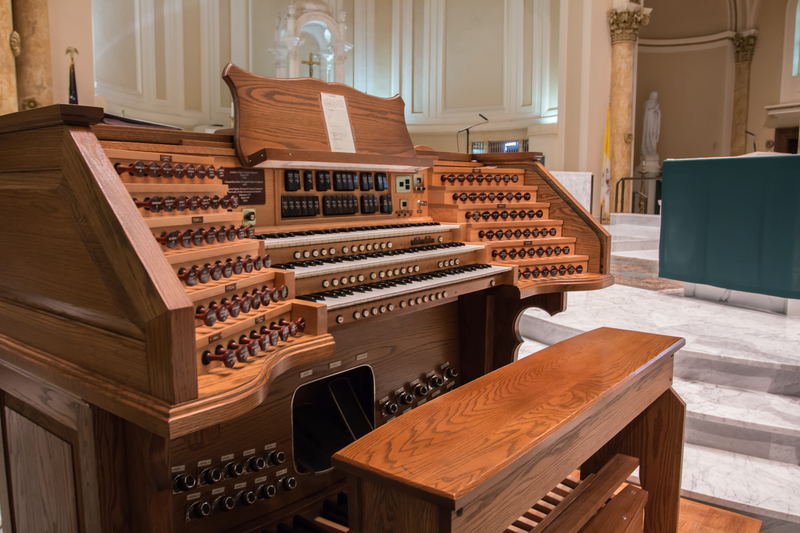 Restorations in recent years and during its Centennial Celebration have included a new console for the organ, placed in the Chancel, as well as the addition of a Chancel Division; built by the Peragallo Organ company for the now closed Church of the Assumption, Bayonne, NJ. The main gallery organ contains 34 ranks and some 2,016 pipes. The new Chancel Organ contains some 730 pipes. For a stop-list of the organ, please click here. All of the restoration work has carefully been completed by the Peragallo Organ Company of Paterson over the past 20 years. Donations are always accepted towards the ongoing care of this historic musical instrument. St. Teresa of Calcutta Parish offers a comprehensive music ministry program for the parish including choirs covering Kindergarten through Adult. “Those who sing pray twice” is a guiding philosophy for the Vatican II parish music ministry program. Whether you sing from your pew or support the concert series or sing from the choir chairs, all are involved in the great gift of song. The Chancel Choir (college to adult) presents music for worship and lead congregational singing at the 10:30 AM Mass on Sunday. The choir also participates in special Liturgies and concerts. 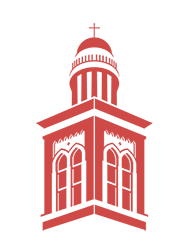 The Chancel Choir sings a wide range of sacred music including Gregorian chant, traditional and contemporary hymns, ancient and new choral music from a diversity of cultures. The choir is accompanied by organ, piano and guest instrumentalists and is directed by Preston Dibble. Choir members receive training in singing and music reading. Rehearsals take place on Thursday evenings from 7:30- 9:30PM in the Choir Room. The choir season normally runs from September to the feast of the Body and Blood of Christ. New members are always welcome and no previous experience is necessary. In February of 2011, members of the Chancel Choir toured Italy and performed for Liturgy at the the Basilica of St. Peter in Rome, presented a concert at the magnificent Church of St. Ignatius in Rome as well as performed in the presence of the Holy Father, Pope Benedict XVI. An August 2013 the Chancel Choir toured Ireland and presented music for Mass in Armagh, Galway and Dublin as well as a concert at St. Patrick’s Cathedral, Dublin. St. Teresa of Calcutta Parish offers an exceptional music ministry program for children including classes in learning to play the hand chimes, handbells and two choirs: the Cherubs (grades K-3) and Choristers (grades 4-8). In addition, the oldest members of the Choristers receive training in becoming cantors. Classes in music skill building, handchimes and handbells and Children’s Choir rehearsals take place on Wednesday afternoons and are team-taught between Joshua Benevento and Preston Dibble. Participants receive training in singing, music-reading, liturgy and fellowship, and in playing percussion instruments and handbells. A number of parent volunteers assist Preston Dibble in the direction of the children’s choirs and help to provide a wonderful environment for the children to learn together. They sing at Family Liturgies, archdiocesan festivals and at other special events throughout the year. Cantors lead the congregation in song during weekend Masses, Holy Days, weddings, funerals and special Liturgies. St. Teresa of Calcutta’s cantors have received training in singing and music-reading and work with Preston Dibble in preparation for each Mass they sing. Archdiocesan cantor training is also provided for all parish cantors. MUSIC IN MONTCLAIR is the parish’s concert series hosted at Immaculate Conception Church. “Dedicated to presenting great music performed by notable artists. We are committed to opening our doors for all to experience our beautiful space.” Thousands of parishioners, non-parishioners, Catholics and non-Catholics and Christians and non-Christians alike attend concerts here each year, sharing in the beauty and presence of the Lord here in this Church. For more information about events, please see the MUSIC IN MONTCLAIR website.